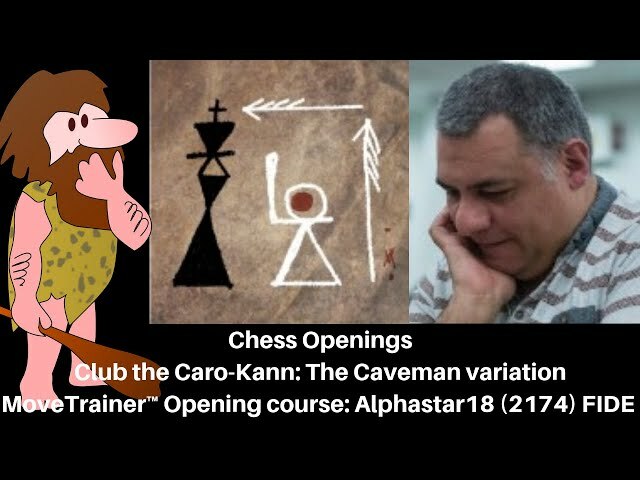 Playing the Caveman variation as White, you get to sacrifice a rook and achieve a winning attack against the Caro-Kann – all within 10 moves of starting the game! To be clear, most modern Caro-Kann books that I know of either completely neglect to address the Caveman variation, or offer a few lines and think that's enough. This means that you will almost always have the element of surprise on your side! I myself am a Caro-Kann enthusiast as Black, and remember well the first time a promising youth player trotted out this variation against me. My thought process went from "thanks for the free rook" to "huh, I can't do anything" to "help I am being mated" very quickly indeed! Club the Caro-Kann into submission! Since then I learned that this variation has been successfully played, if rarely, by grandmasters – but also that there is a large variety of ways in which Black can refuse the gambit. I tried out the gambit myself as White in a serious game against a fellow 2100-rated player who I knew plays the Caro-Kann, and scored a win in under 20 moves. A lot of credit goes to the pioneering research done by the amateur player Michael Goeller on this variation. In this book, I expand on Goeller's lines in lots of places, and I address various Black replies that he either didn't mention or that have become popular since then. Sometimes I part ways with him when I think his choice does not promise White good play. All in all, this course gives White a super sharp, dynamic and highly entertaining way of playing against the Caro-Kann. So, if you're the kind of player who likes to play aggressive, attacking chess this is the kind of opening line you might want to take up. I hope you'll enjoy playing it as much as I enjoyed working on this repertoire. 4.6 out of 5 stars, based on 5 user ratings.